Phoenix has so much to offer that it can be difficult to decide which of the city’s many attractions to visit first. This website offers many ideas, and the internet is full of unofficial Top 10 lists, providing suggestions for places to check out and things to see. But if you want to know which are the best parts of the city, why not ask the people of Phoenix themselves? 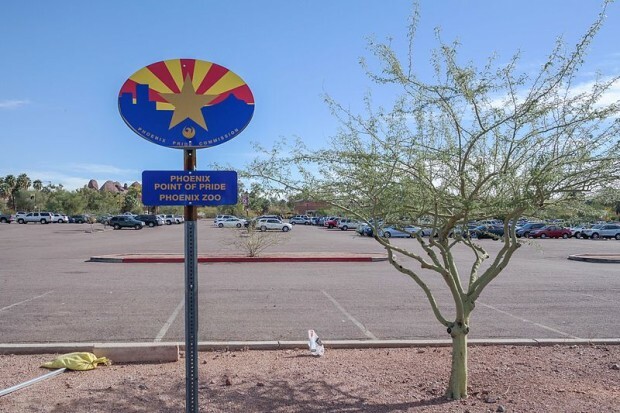 In the early ’90s, the Phoenix Pride Commission launched a program known as Phoenix Points of Pride, designed to honor notable landmarks found within the city limits. A total of five campaigns were conducted, from 1992 to 2008, collecting nominations from thousands of Phoenix residents. The goal was to create a list of the very best places in the city—the locations most beloved by those who live here, and the destinations visitors shouldn’t miss. The first campaign pared down an initial list of 150 nominated places to 25 best-of-the-best. Subsequent campaigns added new locations, until today the grand total sits at 31. Thirty-one places that define what makes Phoenix special, ranging from tiny museums to massive geologic formations to shopping centers to (believe it or not) castles.